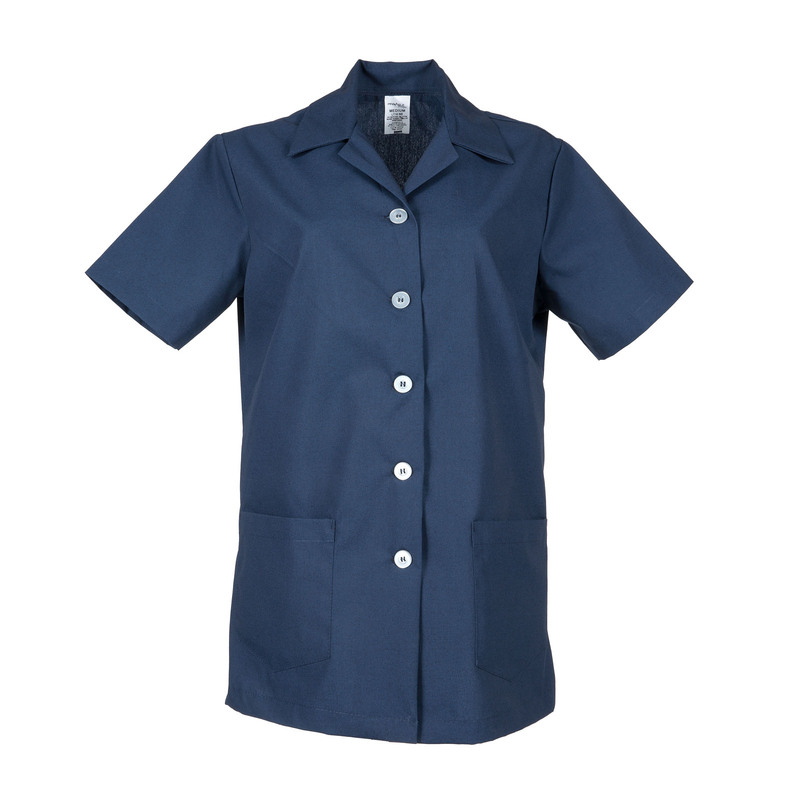 A staple in the hospitality industry, our Women's Short Sleeve Tunic Top is made to keep you looking great no matter how long the workday. This top is crafted with comfort and durability in mind. Made with soil release and wrinkle resistant fabric, it will hold up to the rigors of industrial laundering wash after wash. The tunic top coordinates with our LP11 and features two pockets and pearl buttons.